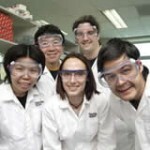 The Temasek Life Sciences Laboratory (TLL) offers an intensive PhD program to prepare the next generation of scientists for exciting careers in Life Sciences. 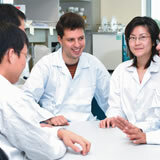 A true international research institute, our students and staff come from over 23 countries. Combined with state-of-the-art facilities, equipment, and dedicated support staff, the graduate program provides the highest level of training possible. A key tenet is TLL's open, collegial atmosphere that fosters productive scientific interactions between students, postdoctoral fellows, and PIs. Through the program, our students regularly publish in the most prestigious research journals and travel widely to present their work at international conferences. 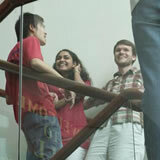 All successful applicants receive a fellowship that includes a living stipend. TLL is ideally located in cosmopolitan Singapore, a safe, modern city that offers many recreational and travel opportunities. With perpetually warm weather, a wide range of outdoor activities is available anytime of the year. The weather also complements the wonderful varieties of food, often available at outdoor eateries, for which Singapore is famous. Singapore's position as a major travel hub makes inexpensive getaways to exciting destinations easy. Although English is the most commonly spoken language, most residents are multi-lingual so students quickly find themselves adjusting comfortably regardless of their country of origin.